Helping our athletes perform better. 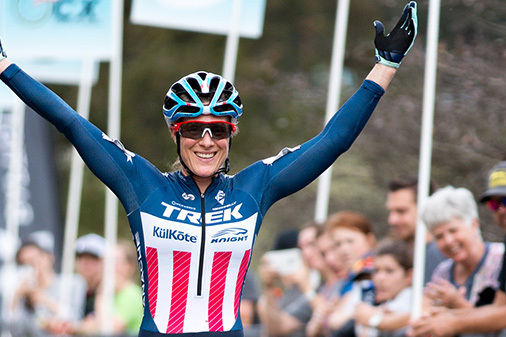 Bio: Katie Compton is the most successful American Cyclocross athlete in history of the sport. 15 time, consecutive US Elite National Champion. 24 Cyclocross World Cup wins. 125+ UCI Cyclocross Wins. First American Woman to medal at UCI Cyclocross World Championships. Two-time consecutive UCI Cyclocross World Cup Overall winner. Current number one ranked Woman Cyclocross rider in the World. KulKote Use: Katie sleeps with a KulKote pillow and KulKote topper. This helps her maintain a comfortable sleep temperature for optimal recovery.